Avocado Salad with Tomato, Cucumber and Mozzarella served with some crunchy french bread and youâ€™ve got a cool, easy dinner for a hot day. So delicious! Cut tomatoes in a half(if you are using small tomatoes or cherry tomatoes)otherwise cut into a medium dice. 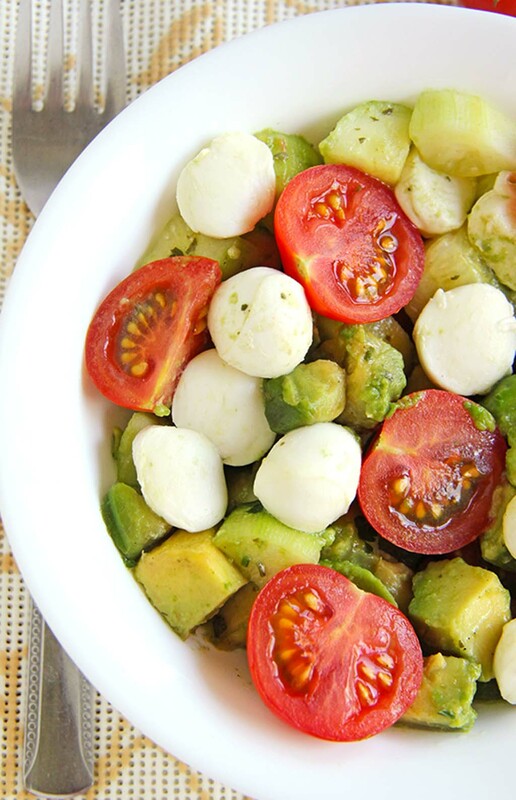 Assemble diced avocado and mozzarella cheese in a bowl. Whisk together olive oil, fresh parsley and lemon juice - pour over salad. Dust lightly with kosher salt and black pepper.